Techlink 680213 3m TOSLink Optical Cable. Chrome plated plugs with laser etching. The Techlink 680213 digital optical cable features standardised Toslink connectors and high purity optical cables using the finest technology available to ensure low jitter and the least signal loss. High performance 1.5m component video cable. 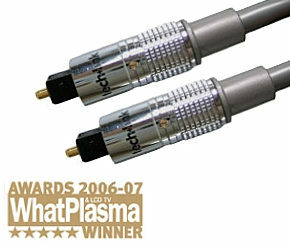 RGB Colour coded phono connectors High-end performance at an unbelievable price. Double shielded non-migratory Oxygen Free Copper conductors throughout. Individual Al-Mylar Aluminium foil shielded signal cables for improved picture. Flexible PVC outer jacket to bend and fit into the tightest of spaces. Laser etched chrome plated metal connectors. Premium Quality Phono-Phono Lead Durable 24k Gold plated, all metal phono plugs. Double shielded with braid and foil. High grade RG-59 coax, OFC cable. 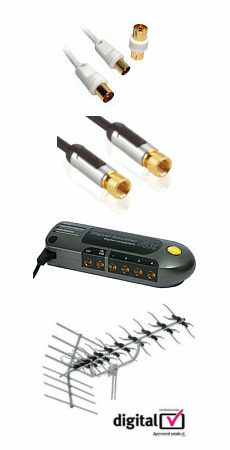 Ideal for digital audio or video.